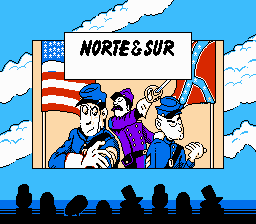 North and South is a strategy game for the Nintendo Entertainment System. 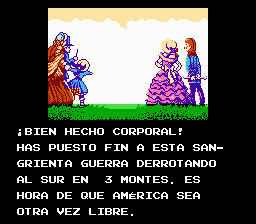 This is a Spanish (Latin America) version. 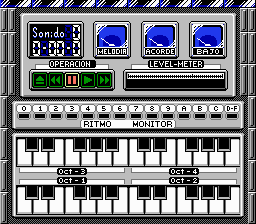 All was translated, including the Title Screen, the Game Mode Select, the Pause and the secret music menu. 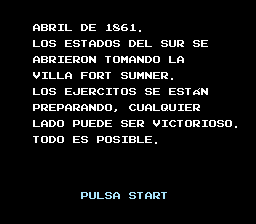 The translation was made out of boredom, and is ready to be played by the rest.